Style crush, girl crush, call it whatever you want. We all have that one celebrity (or handful of celebs) that we constantly find ourselves keeping a style watch on. Aside from Olivia Palermo (who is my biggest style icon), I’m currently loving Taylor Swift’s fun, sometimes retro, but always girly style. Ever since Taylor landed the cover of Vogue back in February, let’s just say she’s been on my radar. While this 22-year-old country crooner may be best known for her tunes about good-for-nothing boys, I’m more interested in seeing what she’s going to wear next. If you’re like me and are currently smitten with Taylor Swift, then say no more! Here are three looks definitely worth replicating the next time you need inspiration! Whether she’s running errands around town or getting ready to take off from LAX, Taylor has gotten the effortlessly chic look down. It’s not hard to recreate Taylor’s style. In fact, if you own a striped boatneck tee, a pair of skinny leg jeans and ballet flats, then you’re already ahead of the game! The key to achieving this look is finding the perfect balance between girly and relaxed. Whether it’s a bright yellow headband or a cute side braid, it doesn’t take much to add a feminine touch to your ensemble. Select a top that is fitted (not skin tight, but not super loose either). 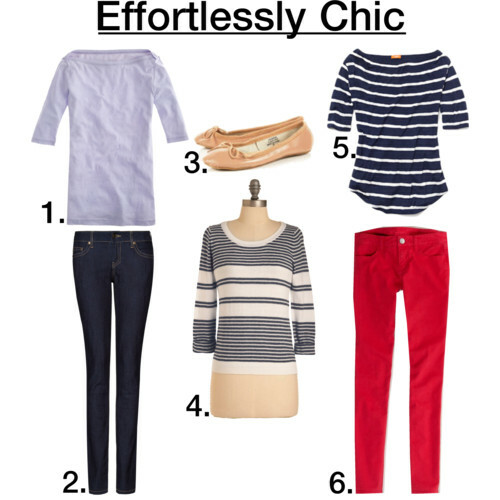 Remember, you’re going for an effortless look! While you can certainly wear your everyday blue jeans, part of what makes this look so in vogue is that Taylor opts for colored denim. Pale pink, bold red and mint/sea foam green are just a few colors that you may want to try. Ballet flats are always great, but so are oxfords. If your outfit consists of girly colors (think pastel hues), then ballet flats will probably be your best bet. Or, if you’re going for a tomboyish look, nothing says menswear-inspired more than oxfords! From a relaxed day of shopping to an evening out, Taylor is often spotted wearing one of her signature flirty, floral frocks. Taylor is without a doubt the queen of floral dresses! Whether she pairs her floral frocks with a lightweight cardigan or cinches her waistline in with a belt, she always manages to appear chic and sophisticated. As the temperatures rise and you find yourself basking in the sun more, a floral dress will quickly gravitate toward the top of your must-have list. If you’re always on the go (like Taylor is), then I can’t think of a more quick and easy outfit to pull off. You have a dress, you slip it on, accessorize as needed and voilà! 1. Go for a vintage-inspired look. Take a visit to a local thrift store and see what floral frocks you can uncover. Don a straw hat and slip on a pair of oxford shoes or worn-in boots – it’s that easy! 2. Be the girly-girl that you are. If you love nothing more than pearl necklaces, ballet flats and bows, then a chiffon floral dress is the perfect fit! 3. For the free-spirited, bohemian girl, consider investing in a maxi floral dress and then accessorize with a lightweight scarf or denim vest. Tip: Modcloth is a fantastic source for floral dresses – they carry nearly every silhouette and have all the floral prints you can imagine! Please tell me that I’m not the only one still obsessing over the gorgeous Peter Pan collar dress that Taylor wore to the premiere of The Lorax. It’s perfect. The thing that I love most about Taylor’s style is that she always keeps it classy. Preferring modest knee or slightly above knee-length dresses, she knows what’s tasteful and stays true to her personal style. Sequins, lace, tulle and ruffles aside, the white dresses that Taylor wears oh-so-impeccably are what I want to focus on now. Even if you’re not attending a red-carpet event anytime soon, one thing that you should never underestimate is the little white dress. Although black is timeless and chic, I like to think that white is the color of summer (and I’m not just saying that because it’s wedding season!). 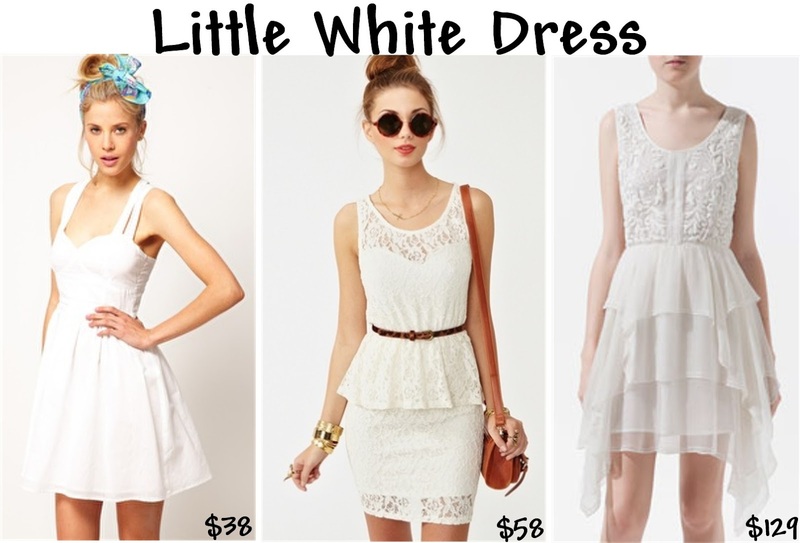 While Taylor often selects dresses with a 50s silhouette, feel free to find one that best flatters your figure. Maybe you want a simple cotton dress with a sweetheart neckline or perhaps a lace peplum number is more appealing to you. The three white dresses above (from budget-friendly to splurge-worthy) are pristine enough for a rooftop dinner party yet still casual enough for an informal get-together with friends! Aside from Taylor Swift, which celebrity’s style do you constantly find yourself trying to emulate? Leave us a comment!